For complete eye care services from trustworthy, skilled professionals, visit Rosin Eyecare’s Michigan Avenue location. Whether you need glasses, contacts, LASIK, or just an annual eye exam, the vision specialists at Rosin Eyecare can help. 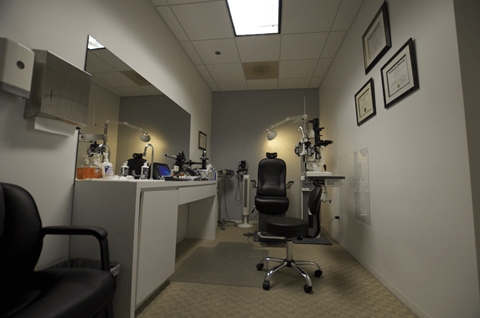 A Chicago area favorite since 1930, Rosin Eyecare has 16 convenient locations throughout the city and its suburbs. 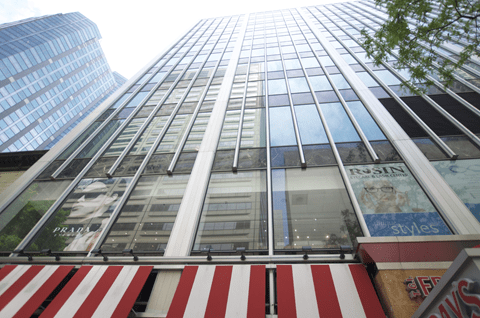 Located in the heart of the “Mag Mile” in Chicago at 645 N. Michigan Avenue, this office is convenient to the Chicago and Grand stops on the CTA red line, as well as several nearby parking garages. Like all Rosin Eyecare offices, you’ll find a staff of highly trained professionals and a wide selection of eye care services and products including designer frames and sunglasses. In addition to offering eye examinations, eyeglasses, and contact lens fittings, this office is also staffed by eye care experts who can treat eye diseases and provide laser vision correction services. We also stock a wide selection of frames for men, women, and children, as well as lenses and frames appropriate for sports, safety and everyday use. Stop in today or give us a call at (312) 787-2020 to schedule an appointment. I was having MAJOR issues with one of my eyes. I wasn’t sure if I had scratched it or I had pink eye. I could barely open it and was very light sensitive, so an appointment was necessary. I first went to immediate care and I guess they ended up prescribing me some sort of allergy drops.. that were $90?! CRAZY. I saw that Rosin was close to my work office so I called to schedule an emergency appointment. I was able to get right in the day of and the woman that I saw was so gentle and helpful. I have been to a few eye doctors that haven’t been so gentle and didn’t take their time with me, but she did. She gave me two different kind of drops and gave me her 24/7 on call number in case something went wrong. She also scheduled a two day follow-up appointment and called to check on me the following week. I was quite skeptical about going in for an eye appointment due to the fact that it had been years since I had had my eyes checked. Everyone at Rosin from the ladies at the front desk to the doctor himself was so friendly and helpful that I immediately felt at ease. The office was clean and sleek looking. Really no complaints at all!My eyes are perfect so I won’t be going back often, but it’s nice to know I have a convenient reliable place nearby for the future! Would recommend to anyone in the streeterville/river north area looking for an eye doctor. I LOVED my visit here. The young ladies at the desk were attentive and nice and answered all of my questions (only asked 1). I had a great doctor and I highly recommend her. She made the visit easy and smooth but was very detailed in her work. She was very open to my suggestions and gave me lots of options as far as lenses and gave me advice on how to improve my eyesight. The best visit with an Optometrist that I have ever had! They had a nice variety of designer frames, I went with the hipster Ray Ban, but they have others that fit whatever style you have. I was in and out in about 30 or 40 minutes. Rosin Eyecare – Michigan Ave.
Rosin Eyecare - Michigan Ave.